We are currently in the process of learning to feed ourselves (James) with utensils... he's been doing the finger food thing for a while - and after our trip to the pediatrician, it's time. Speaking of that, did I give you their new stats? Let me do that first. This guy weighed in at 24 pounds, and is 30 inches in length (when do they start calling it height?) 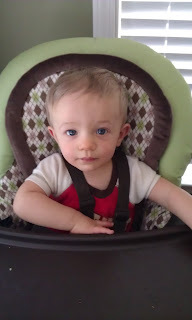 - he's in the 10th percentile for height and 40th for weight. Poor kid is a shorty - which we don't notice so much until we put him in his 18 month pajamas... and I have to roll them up twice at the waist so he doesn't trip. This guy weighed in at 21 pounds, and is 29 inches in length - he is in the 70th percentile for both height and weight. He has taken another battle up with the fireplace this week and scratched up his chin... earlier this month it was his nose... he is fearless. It's scary sometimes. He just gets right back up and goes. I swear he'd leap out of your arms if you'd let him. We use these Gerber toddler utensils for James right now, but I need to stock up on some more - or even try some new options. 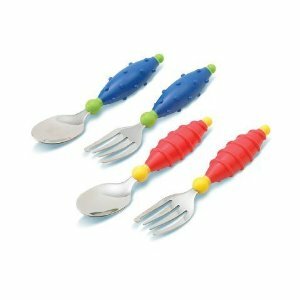 He is cracking me up with them though - he just sort of tosses it at me (mainly the fork) so that I can stab the food for him. If he has the spoon he just looks at me like "feed me woman" - it's a learning process. The spoons for toddlers kind of stink because there is no "well" to them - so the food just slides right off. The other night - I gave him some yogurt to try, and the first spoonful plopped right on his belly... at which he just looked at me like "really?"... poor guy. 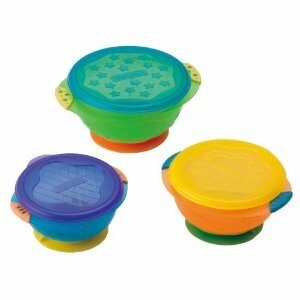 I've been using these Munchkin bowls for both boys cereal since they started eating it... they work well and are sturdy. Now, I wouldn't hand them one of them because it would go flying... but it works well for me to feed them from right now. 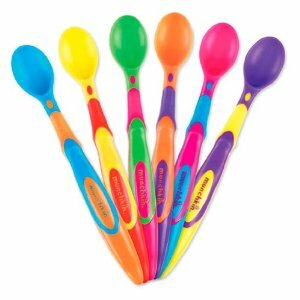 These Munchkin spoons are GREAT for baby food. I also have been known to use them with ice cream on occasion when the boys need a treat. 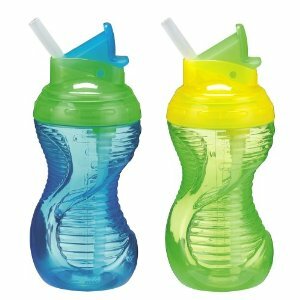 I love that they're sturdy but flexible... and they come in a pack with lots of them! 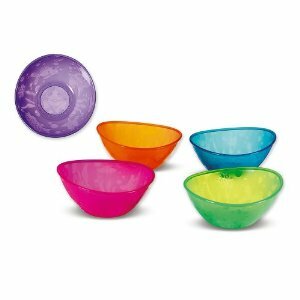 I got a set of these bowls the other day at Walmart - they are Munchkin of course... but they have suction cups on the bottom - so that when James is trying to use his spoon or fork - it doesn't move on him. Now they do come loose, but I'm right there feeding Tyler - so I just push it back down. I plan to get another set or two because we go through all of them everyday - so a spare set would be nice, and Tyler won't be far behind. I got these this week from my friend Kristen. They are a custom design from Little Laws Prints... but I love them! You could totally do this for your husband, children, or anyone else that you want to give a daily reminder of why you love them. You just frame it, and write your message right on the glass! LOVE IT! Kristen does such a great job... I just told her the colors of my kitchen, and that I was thinking of using their monogram... and she came up with these. Lastly, I made the BEST new meal this week... you should check out my new "go to" crock pot recipe... Chicken Thighs with Olives, Tomatoes, and Orzo. I kinda dig the monogram prints where you get to fill in the blank. What a creative idea!